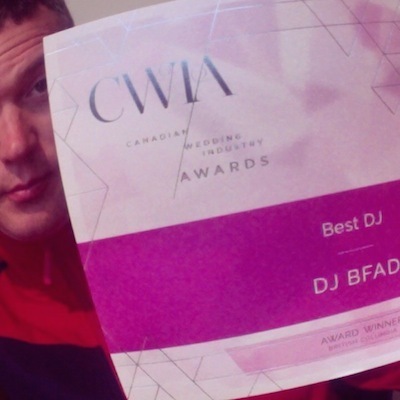 Look what arrived in the mail last week - Canadian Wedding Industry Awards Winner, Best DJ certificate. Stoked. A humble thank you all my brides, grooms & fellow vendors. So honoured for your support!